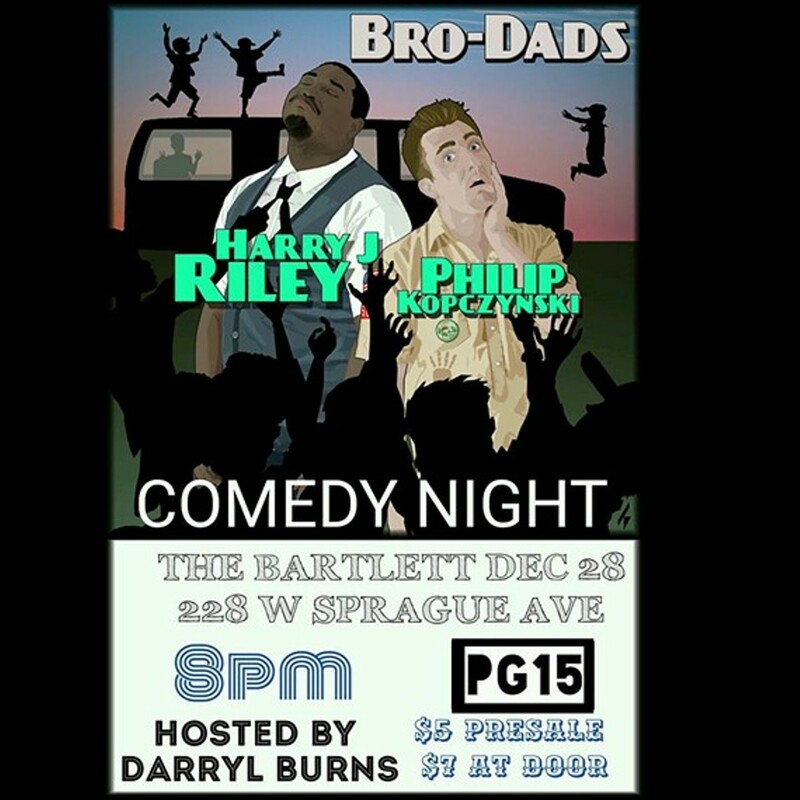 Philip Kopczynski and Harry J. Riley, two of Spokane’s funniest comedians, come together next week at the Bartlett for a night of stand-up. But it won’t be a business-as-usual-type set; this time they’ll each take to the microphone to tell mostly true stories of their misadventures in fatherhood. Called Bro-Dads Comedy Night, the event will be a safe space for all dads — the cool and not-so-cool — looking for a little hilarity in their lives. It’s always good to know you’re not alone.